In film and television, they are vilified. In real life, they are often despised, feared, and most certainly misunderstood. Bats, or Chiroptera, live in cities and countrysides alike, and whether you like them or not, killing them onsite isn’t the answer. Did you know that bats are as beneficial to our ecosystem as bees are? They control the insect population, pollinate our flowers and spread out seeds, which encourages plant production and diversity. To support your local ecosystem and your own backyard, here are some ways to help bats thrive in your area without letting them in your house or garage. There’s no way you can start to build a symbiotic relationship with these nocturnal animals if they behave like pests. Unfortunately, however, your home, with all its warmth and little hiding spaces, is the perfect place for bats to roost and breed. Before making your bats feel welcome outside, it’s best to make sure you don’t let them inside. Bats come in various sizes, and some of them can squeeze through a hole the size of a coin. While holes that size may be hard to spot, you owe it to your health and your sanity to give your house a thorough inspection and to plug any holes you find. If you need help, enlist the service of a humane pest removal company that can help you diagnose and treat any pest issues you have. Why do bats like to sneak into our attics and chimneys? Because our homes offer them protection from the harsh winds, rain, and cold. Our warm and cozy abodes are like havens to bats who are increasingly losing their natural habitat thanks to deforestation and urban development. A great way to find a proper place for bats to live and thrive is to build them their own house. 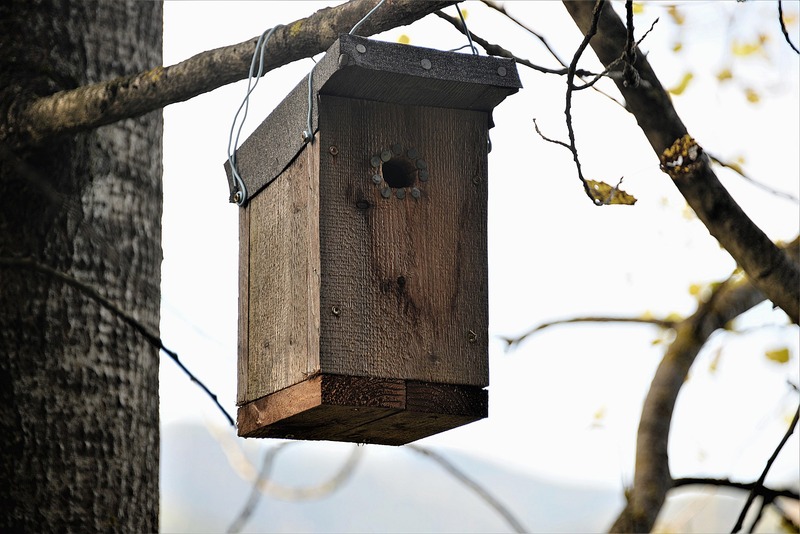 Bat houses are specially designed for their species, with considerations for their roosting, mating, and warmth requirements. You can easily find plans for a bat house on the internet or buy them ready-made. We suggest mounting bat houses as high as possible, in a sunny unobstructed area close to a stream, river, or other water sources. If you want to avoid the sight of bat guano, install the house away from your own. You may be wondering why you should go through all this trouble to make a bat feel welcome on your property. As previously mentioned, bats are an enormous help around the garden, and as long as they stay out of your house, they are actually a welcome addition to the area. At night, bats consume almost three times their body weight, and their diet consists of mosquitos, moths, and other garden pests that you would have otherwise had to remove with harsh chemicals. Plant fragrant blooms and herbs to attract nightly bugs, which will allow bats to feast. Brightly-coloured blooms will also attract them to your garden at night. There are many ways we can help our local bat population prosper. The first step in this process is to figure out a way to co-exist without letting them encroach on your property. By keeping the bats out of your home, you’ll be able to appreciate them for what they really are: a blessing. If you have bats in your home, don’t attempt to remove them on your own. Contact Raider Wildlife Control immediately, and we’ll clear your home efficiently and humanely.